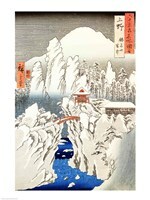 Utagawa Hiroshige (1797-1858) was born in Edo. 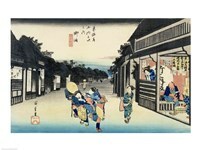 Earlier in his life he wanted to follow the career of his father who was a fire-watchman. 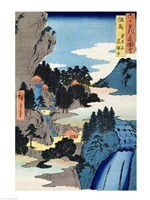 But after his parents’ death he decided to venture into the art world. 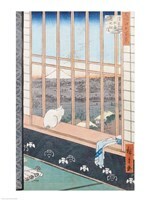 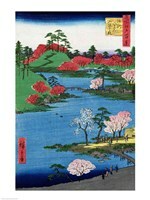 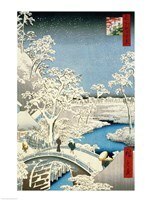 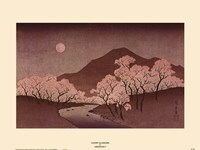 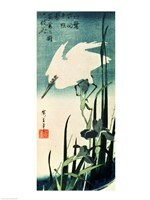 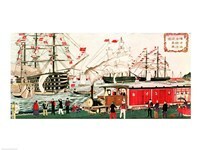 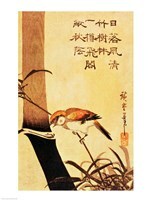 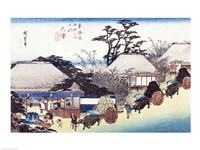 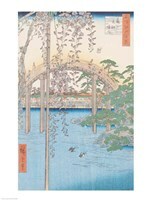 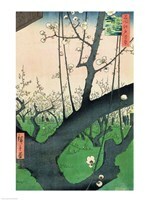 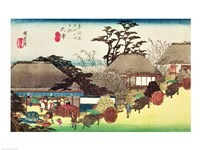 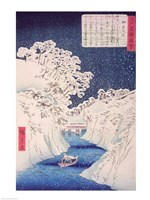 He put much effort in art and became the second of the two great masters of the Japanese landscape woodblock print. 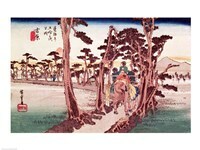 His early prints were initially book illustrations, and later mostly actor prints and bijin-ga, all in the classic Utagawa school style, created by Toyokuni and other masters of the Utagawa School. 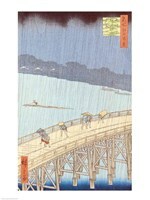 Hiroshige is particularly known for his scenes featuring rain and snow, which feature in many of his most famous and best images, and which has led to him being referred to as the artist of snow, rain and mist. 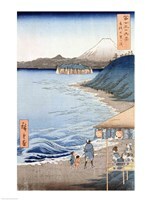 In 1811, Hiroshige became a pupil of Toyohiro, a woodblock artist who had been a fellow-pupil with Tokokuni the great woodblock master. 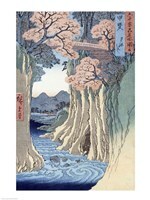 In 1812, Hiroshige was formally adopted into the Utagawa School, with the name Utagawa Hiroshige. 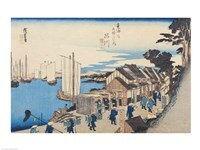 In 1832, Hiroshige made his first journey to the Tokaido highway, which resulting in his first great artistic success, a series which catapulted him to contemporary success and fame. 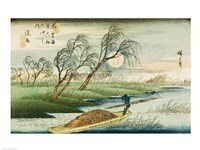 This series is one of the two best series he ever did and is currently also universally held among the greatest of all Japanese landscape prints. 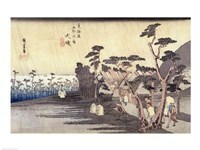 He produced large numbers of landscape and other series, but principally landscapes, on a large number of different themes. 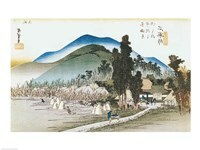 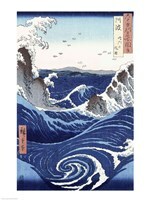 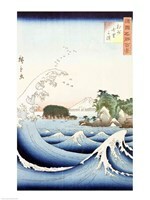 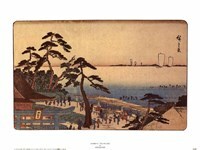 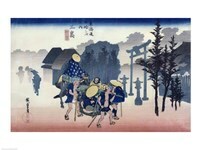 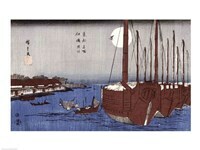 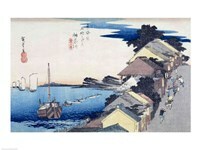 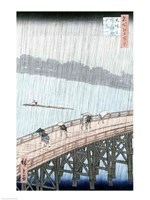 Hiroshige lived his entire life in Edo, until he died from cholera in 1858 at the age of 62.